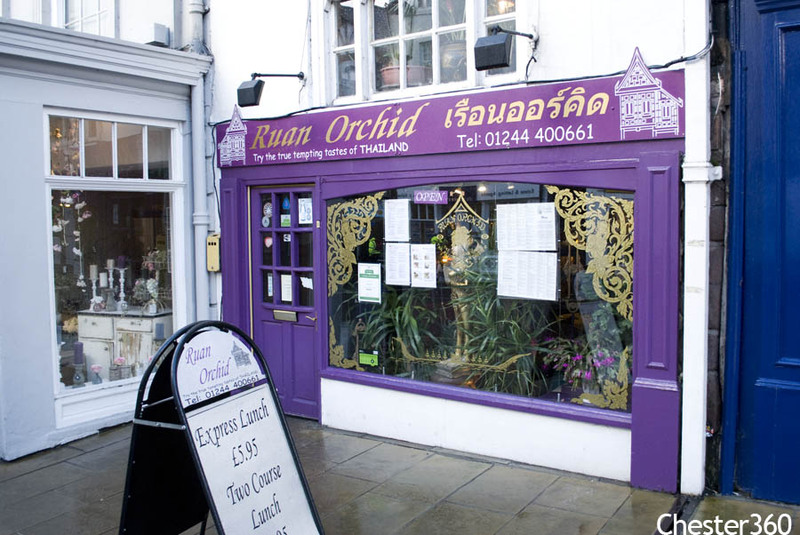 Chester's first Thai Restaurant. In addition to being really tasty, Thai food is also healthy. Thai food is a blend of Thailand's neighbours including Malaysia, China, India, Burma Vietnam, Cambodia and Laos. Thai food is influenced by these foods, but is very distinctive through the use and combination of Thai ingredients such as lemon-grass, kaffir lime leaf, galangal, chilies, fish sauce, garlic, tamarind, palm sugar and coconut milk.